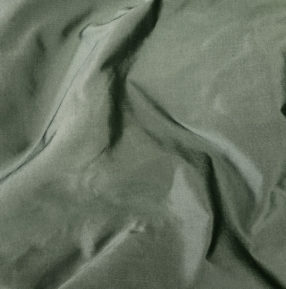 We love this new 100% silk taffeta in Silver so much! It is “shot” with black threads crosses by white threads to give an amazing sheen and color. The weight is medium-heavy.